Between the end of one year and the beginning of a new one, we usually come across plenty of applications and services that intend to summarize our best moments of the period that is finishing so that we can remember it with nostalgia. Many of those memories can be found on our different social profiles, including Facebook and Instagram, and it's precisely for this photo social network for which Top Nine has been developed, an application for iPhone and iPad that intends to offer us a video or collage that summarizes our best pictures of the year. 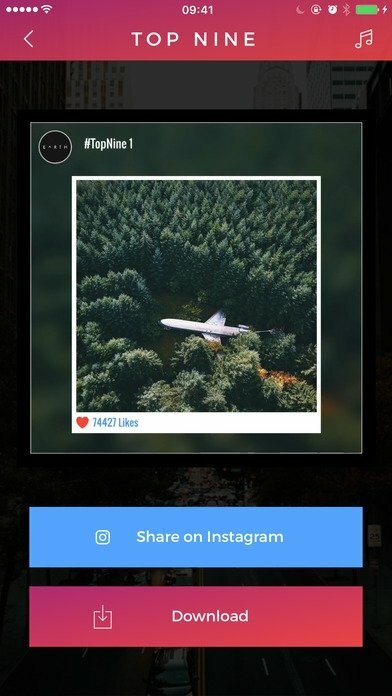 Instragram's equivalent to Facebook's year in review video. 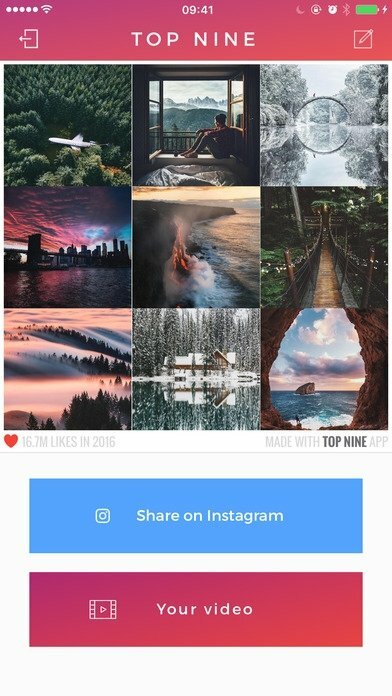 But what criteria does Top Nine for Instagram use to decide which are our best photos of 2016? 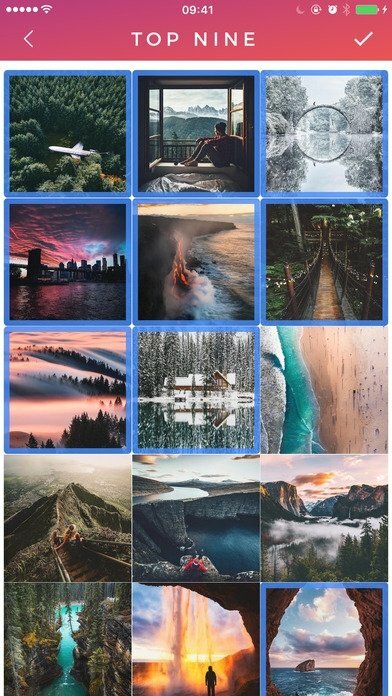 Don't worry, it doesn't analyze the quality of the photos taken nor our photography skills, but instead, in order to upraise our ego and narcissism, it shows us the 9 pictures that have received more likes and interactions on behalf of our followers. 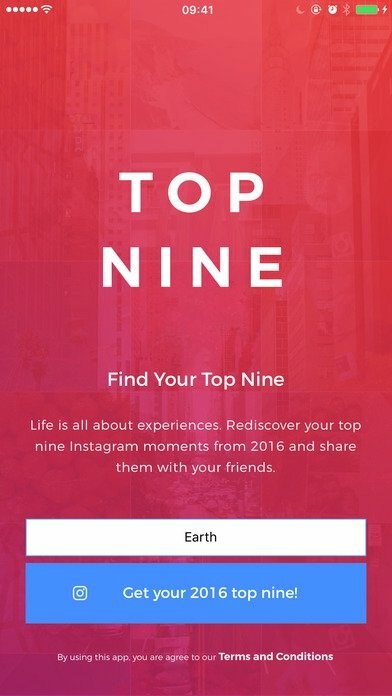 And what's all this Top Nine stuff for? Well, apart from strengthening our moral reminding us of the pics and posts that had the greatest impact on our Instagram account, it allows us to create a beautiful collage and a customized video with those nine photos. We can later share those creations on our social networks or instant messaging applications and show everyone how great our virtual life on the Internet was during 2016.